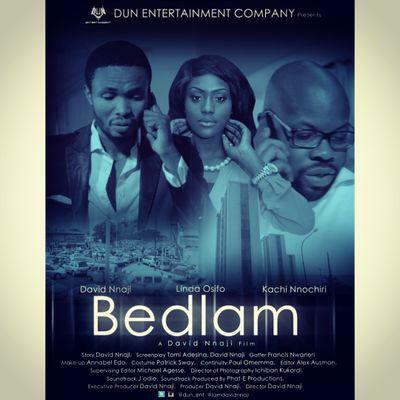 David Nnaji’s directorial film debut “Bedlam” has been selected, alongside Biyi Bandele and Kunle Afolanyan’s Half of a Yellow Sun and October 1 for a special screening in the World Panorama section of 3rd Woodpecker International Film Festival. The 3rd Woodpecker International Film Festival is scheduled for September 17‐20, 2015 at Siri Fort Auditorium, New Delhi, India. “It’s for the first time that a serious attempt is being made to bring Nigerian cinema to the Indian audience. Other selected Nigerian films include ‘Brothers’ directed by Azubuike Erinugha ‘Knocking on Heaven’s Door’ by Desmond Elliot; ‘Thy Will Be Done’ by Obi Emenloye; ‘Doll House’ by Kayode Peters; ‘Silent Tears,’ a documentary by Ishaya Bako; and ‘Champagne’ by Emem Isong. Synopsis: A career driven young man abandons his family for work. His determination for success had a negative effect on his relationship with his spouse relentlessly. She had to take a drastic measure to make him realise that family values are much more important than pursuing his profession.